Todays installation required a little more care than usual. 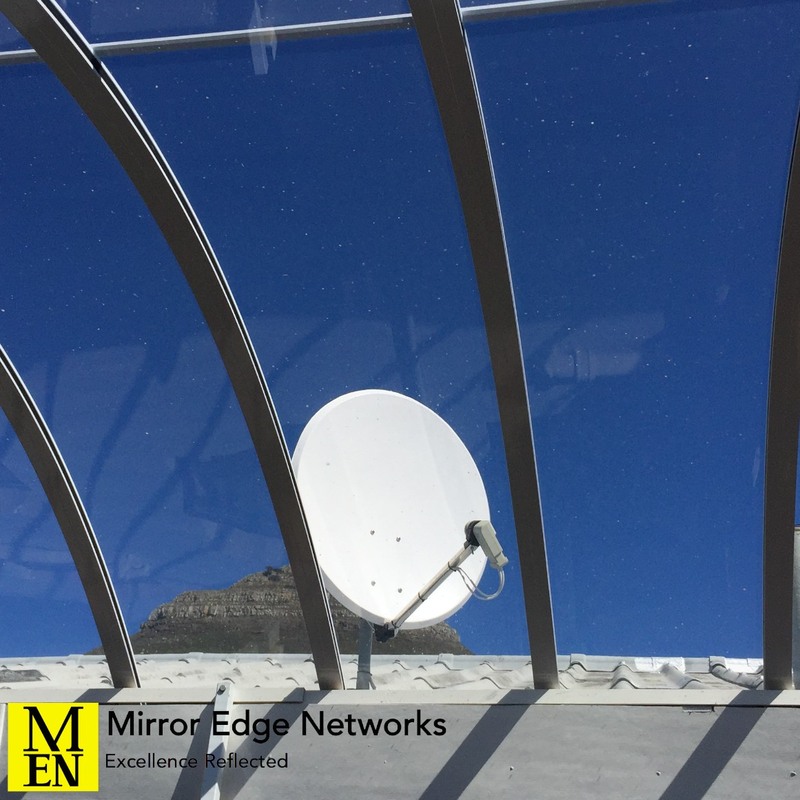 Installation of a Satellite dish on the roof of a two storey high apartment block. While the satellite dish installation is not something unfamiliar to us, accessing the roof of the building was. Due to the access having been closed up by the new glass roof over the courtyard of the building, we had to access the building from the outside. Thankfully for us, there is an external slab which covers one of the walk ways, from which it is possible to access the roof. Overall this was a fairly quick installation, only delayed by getting to the roof. 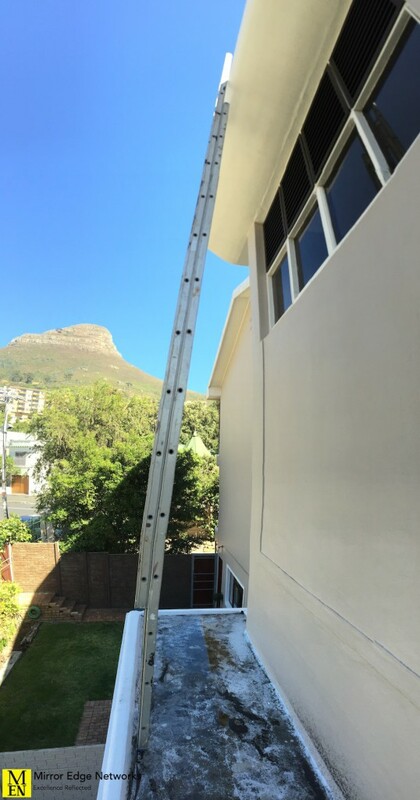 We would have erected scaffolding, but due to the time constraints implemented by the body corporate, we had chosen to use the ladder instead. Our clients DSTV decoder is now installed and working, which she is very happy about.